Bibliographic entry Chrisp, P. (2009). 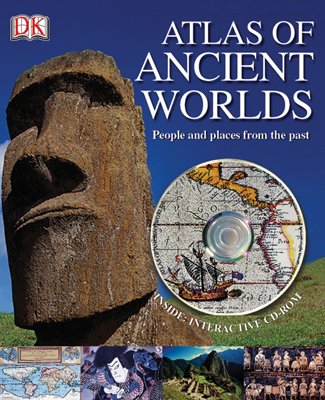 Atlas of ancient worlds: People and places from the past. New York, NY: Dorling Kindersley. Description Organized by continent, this atlas conveys textual and visual descriptions of ancient people. It is filled with maps and historical artifacts focusing on art, development tools and architecture. Reaction Each two-page spread which focuses on a new regional people is structured in the same way making it easy for the reader to compare cultures geographically and historically. Posted on November 15, 2012 by banana29Posted in UncategorizedTagged Atlas of Ancient Worlds, book reviews, children's literature, collection development, non-fiction, Peter Chrisp, school library, secondary school library.